So called ‘naked cakes’ are an increasingly popular choice for celebrations both large and small and what you see is what you get! While in recent years the trend has been for cakes to be encased in frosting and decorated in a fancy style, there is a new trend for stripping cakes back, and decorating them very simply with fresh edible flowers and vibrant berries or using pastel shades to make the cake itself the star attraction. 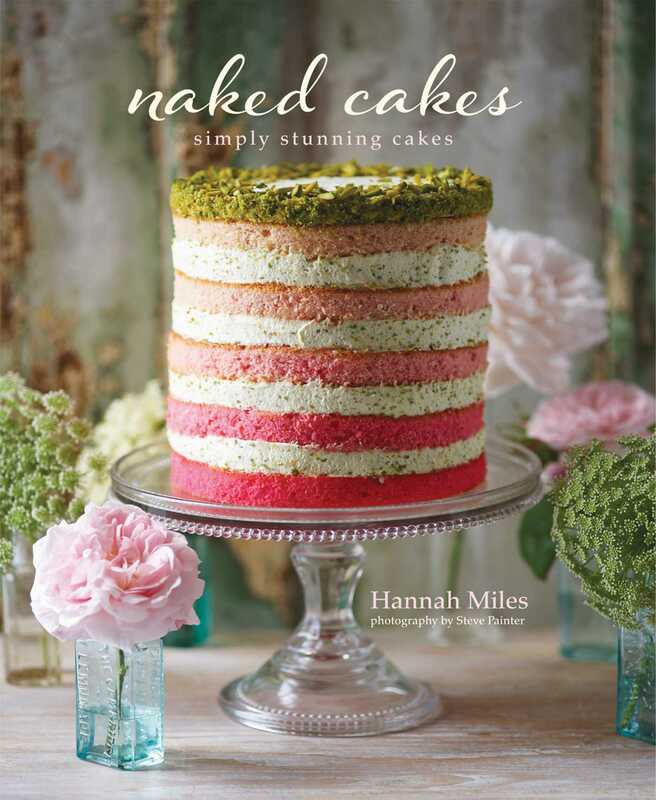 The queen of cakes, Hannah Miles, has undressed classic cakes to create these delightful recipes. Whether you want to create Vintage Elegance, Rustic Style, Romantic Charm, Chic Simplicity or Dramatic Effect, or make something to represent the Changing Seasons, you’ll find the perfect recipe and design here. Choose from floral cakes such as Rose Petal Victoria Sponge, zingy citrus bakes such as Clementine Mini Cakes and luxurious berry fruit offerings including Blueberry and Lemon Cake. There are plenty of ideas to tempt the sophisticated nut-lover and chocoholic, such as Chocolate Layer Cake with Honey-roasted Figs, Coffee and Walnut Cake with Praline Cream and Spun Sugar, and Pink Layer Cake with Pistachio Cream. These cakes are not for every day—they are special treats and the perfect treat for birthdays, weddings and other celebrations all year round. From the surprisingly simple to the lusciously extravagant, family and friends will be astounded by these impressive bakes.